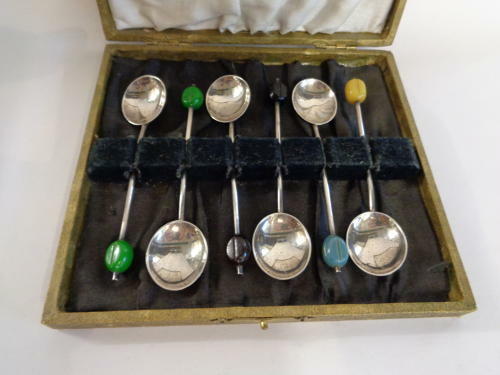 Silver Coffee Bean Spoons (Six). Hallmarked Birmingham 1934 by maker Arthur Price & Co. In Good Condition, Box shows signs of wear. The Spoons Weigh 38.9grams in Total & Measure 9.75cms in length.